Arthur A. Gattozzi, 93, of Milford, passed away surrounded by his children, July 10, 2015. He was the husband of the late Lorraine B. (Guido) Gattozzi who passed away in 1983. He was born in Milford son of the late Giuseppe and Assunta (Trotta) Gattozzi and was a lifelong Milford resident. He was a graduate of the Milford High school class of 1942 and attended Lowell Tech. He was a World War II Navy veteran serving on the U.S.S. Alabama. Mr. Gattozzi retired in 1994 from the Waste Water Treatment Plant in Milford where he was employed as the superintendent and also an elected member of the Board of Sewer Commissioners of the Town of Milford for many years. He also was employed for many years as a facilities manager at the Milford High school. In his early years he was employed at the former Draper Corp. in Hopedale where he worked as a machinist. 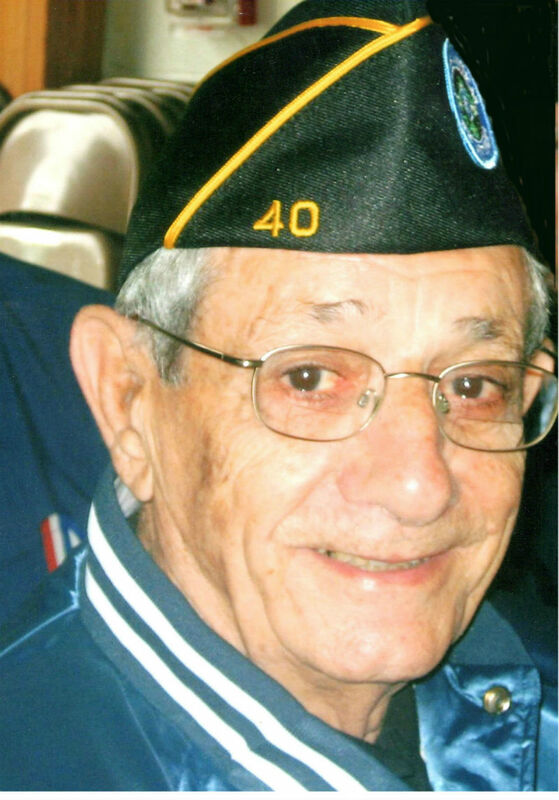 He was a member of the Milford Italian Veterans, Marchegiano Club, Sons of Italy, V.F.W. Frascotti Post, Tuesday Bocce and Card league at the Milford Italian Veterans and a member of the U.S.S. Alabama Alumni Association,. He was very proud of his Italian heritage and was known as the “Best Nono”. Mr. Gattozzi was an accomplished carpenter and jack of all trades. He enjoyed fishing on Cape Cod and also enjoyed dancing. The Gattozzi family would like to thank the staff members of the Whitcomb House in Milford, Worcester Home Care, Dr. Wayne Trotter and Dr. David Sommer for the compassion and exceptional care they provided to Arthur. He is survived by his children, Keith M. Gattozzi of Milford, Valerie and her husband Richard Mei of Hopedale, Julie Ann and her husband Thomas Harmon of Westminster, one sister Christine Saunders of Hampton Beach NH, six grandchildren, Keith Gattozzi Jr, Erica Gattozzi, Emily Mei, Olivia Mei, Zachary Harmon,Gianna Harmon, step-granddaughter Melissa and her husband Neer Danielli and five step-great-grandchildren, many niece and nephews. He also leaves the love of his later life, Amber K. Calzone of Mendon. He was predeceased by his brothers, Paul Gattozzi, Alfred Gattozzi, Dominic Gattozzi, Bernard Gattozzi, John Gattozzi and his sisters, Josephine Guglielmi, Caroline Verelli and Angelina DiCenzo. The funeral will be held Friday, July 17, 2015 at 9 A.M. from the Consigli-Ruggerio Funeral Home 46 Water St. A Mass of Christian burial will be celebrated at 10 A.M. at the Sacred Heart of Jesus Church 7 East Main St. Milford Ma. The burial will follow in the parish cemetery. Calling hours will be held Thursday from 5 to 8 P.M. In lieu of flowers the family requests memorial donations be made to The Michael J. Fox Foundation or Gentiva Hospice in Arthur’s name. I miss you more and more as the minutes pass. Wishing I could see your contagious smile one last time. I love you so much Nono. Uncle Arthur, you were one in a million, loved by many and will be missed by many. John and Louise Babel. Rest in peace Uncle Arthur. We will miss you and keep you and the family in our prayers. My deepest sympathy to the entire Gattozzi family. When you look back over the years, you look at how people affected your life by the relationship. Uncle Arthur and I were close growing up, so what did I learn from this master teacher? Always have a smile on your face, be kind and considerate, help other, be a tell it like it is guy and most of all love to play boce! We will miss him but he will always be in our hearts. It was such a pleasure to have known such a wonderful man. He was my best friend at Whircomb House and I will miss all of our funny special times and Holiday parties. Rest in peace! Michael Zarenne and daughter AnnMarie Rest in peace! With warmest regards to the Gattozzi family, I am grateful to have known Arthur. His kindness, support and advise will never be forgotten. I will keep him in my heart forever. One's legacy lies in the lives he has touched and the people that love him that he leaves behind. Mr. Gattozzi was clearly a wonderful, interesting person who leaves the world with a loving and proud family to keep his memory alive. May he rest in peace in God's hands. He and the Gattozzi family will be included in our prayers. I will miss your smile and your eagerness to dance. The chairs in the lobby won't be the same without you. Keith and family, Our thoughts and prayers are with you at this difficult time. To my favorite person, I miss you so much and never thought that I'd have to write these words. Thank you for being the best Nono in the entire world. Thank you for letting me dance on your feet and let me sing to you in your kitchen and eat all your cold cuts. I'll always be your little baby. I love you so much Nono and I'd give anything to dance with you one last time. I love you I love you I love you. Keith and family, so very sorry for your loss. It's never easy but clearly, from all I have read, he had a full life with family he loved and who loved him. That means rich lives and a lot of blessed people! My thoughts and prayers go out to you and your family. Mike R.
Sincerest condolences for your family during this most difficult time of loss. Let positive memories flood your hearts and keep you smiling with the love your family shared during the precious time you had together. Keeping your family in thoughts & prayers during this time. Warmest regards. I miss you so much Nono. I would do anything to hear your voice saying you love me or make you laugh and smile again. I will cherish every single memory I have with you and keep your spirit alive. I love you more than words can describe. Keith & Family, We just heard about the passing of your Dad, and are so sorry for your loss. Our thoughts and prayers are with you.